Turkey's southeastern cities of Diyarbakır and Mardin, home to ancient civilizations, offer a rich cultural and historical experience for travelers. Basking in its historical glory, Diyarbakır boasts more than 4.82 kilometers (three miles) of spectacular stone walls that were probably first erected around 2000 B.C. and are included on UNESCO’s World Heritage List. Visitors can enjoy a breakfast featuring indigenous delicacies in the mystic atmosphere of Diyarbakır House and Suluklu Inn, then set out to explore the city starting with Mesudiye Madrasah, one of the first universities of Anatolia, followed by the museum house of Ziya Gökalp, a Turkish thinker, Ahmet Arif Literature Museum, Zinciriye Madrasah and the houses of Cemil Pasha, 16th century governor of Diyarbakir Iskender Pasha and poet Suleyman Nazif. Diyarbakır's Ulu Mosque, estimated to have been built in 938 A.D. and located in Sur district, is one of the city’s must-see attractions. Hazrat Suleyman Mosque, which once hosted dozens of Sahabah (companions of Prophet Muhammad), is another site that cannot be missed. St. George Church, which was built on 50,000 square kilometers (19,305 square miles) of land and dates back to the second century A.D., Artuqids Inn and the Ickale area, where Turkish Republic and Ottoman era architecture shines, are also among the places worth a visit. Ataturk Mansion, located in the south, is another place that comes to mind when someone mentions Diyarbakir. Lice district's Birkleyn Caves, where cuneiform texts from the Assyrian kingdom are still visible, are historical wonders of Diyarbakir along with their stalactites and stalagmites. 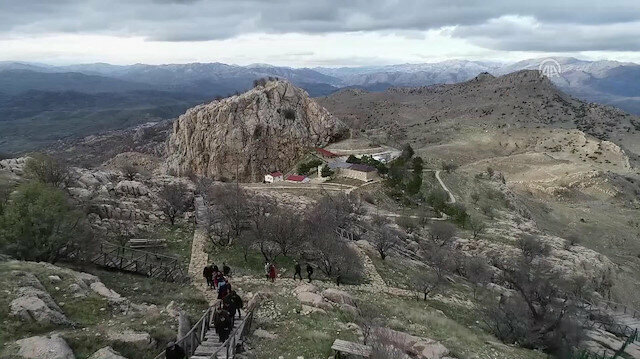 The Hilar caves and Cayonu hill, some of the oldest known cave settlements of Anatolia, shed light on the history of civilization in addition to regional history. Those looking forward to exploring the local culinary delights in Diyarbakir can enjoy meals such as liver kebab, meftune, icli kofte (stuffed meatballs) and meaty or sour dolma. Visitors can also purchase souvenirs such as traditional handicrafts and exclusively designed gold or silver jewelry. In addition to its historical texture, Mardin is among Turkey's most unique places to visit thanks to the harmony within the city, emanating from the positive bonds shared by different religions. Erdoba Mansion or Cercis Murat Mansion, bearing the marks of the city's unique stone architecture, are among the culinary destinations to pay a visit in Marmid. Some of the delicacies holidaymakers can enjoy are Sembusek, icli kofte (stuffed meatballs), kibe bumbar, dolma, stew and ribs. 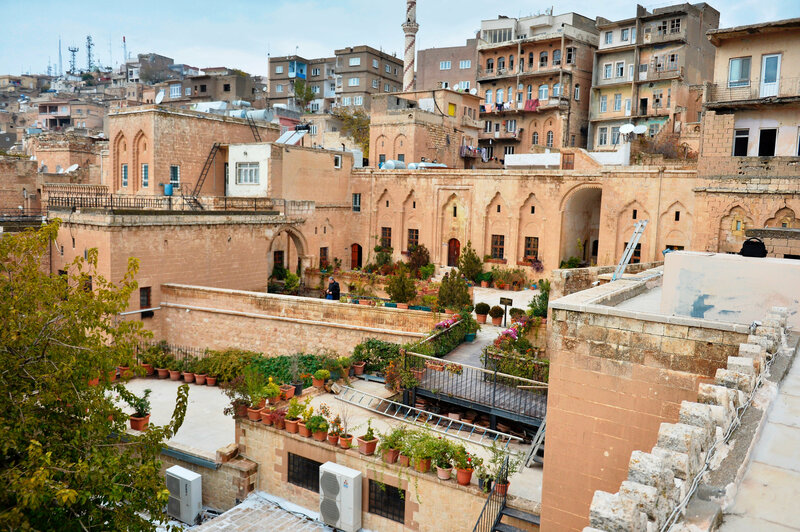 Moreover, visitors to Mardin can swing by the colorful and bustling market, where they can buy exotic spices, sugared almonds, telkari silver, handicraft objects and local organic soap. The Dara Ruins, where ancient rock tombs dating back to the 5th century A.D. are located, are viewed as the "Ephesus of Mesopotamia". The Dara Ancient Site was one of the important settlements located on the Silk Road. 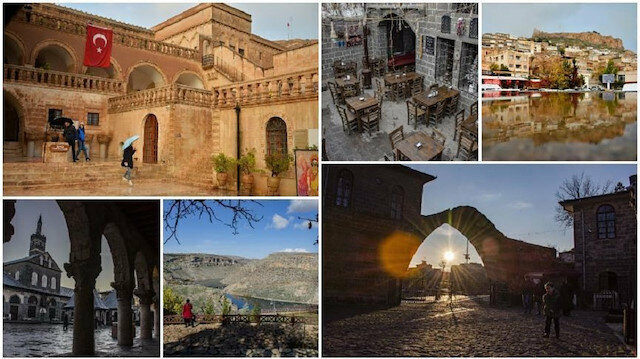 Ozgur Azad Gungor, the head of Mardin's Tourism and Hotels Association, said the city is ready to host local and international tourists for the midterm holiday, adding Mardin has always enjoyed wide interest among tourists. "We have been nicely prepared. There is serious demand, and we are looking forward to hosting guests in Mardin," he said.